If you need just a hint of Holiday decoration, consider this miniature Laser-Cut Wood Christmas Tree At Dane Decor. Small, delicate, diminutive: it says Christmas without shouting or being overbearing. Consider the intricate detail in the gallery images. 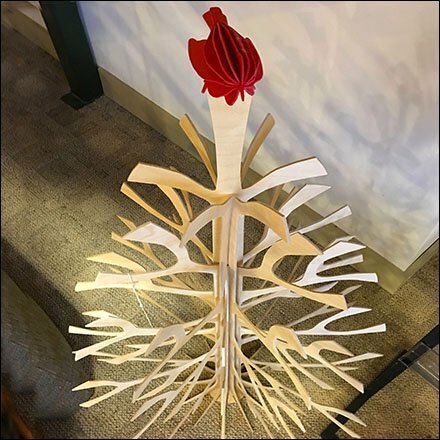 This Laser-Cut Wood Christmas Tree At Dane Decor seen as visual merchandising decoration in Downingtown, Pennsylvania.